It all started with a midi keyboard he received as birthday present back in 2012. The young producer from southern Germany was always influenced by the vibes of Roots Reggae, Dub and as well Jungle and Drum and Bass music. It was merely a matter of time until he started producing his own sounds. Nothing is stronger than an idea, whose time has come. And the time for Karma Dub's first release has arrived. Karma is an ancient concept, a Sanskrit word meaning 'act', 'action', or 'word'. The law of karma teaches us that all of our thoughts, words and actions begin a chain of cause and effect, and that we will personally experience the effects of everything we cause. 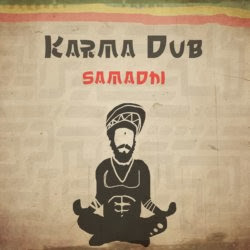 It is clear that Karma Dub is deeply influenced by the eastern cultures and their music. Nevertheless he successfully manages to incorporate in his work heavy basslines and irie melodies, elements rooted in the Jamaican music. 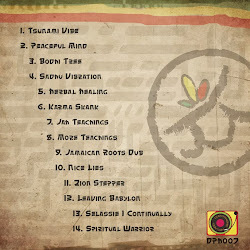 Karma Dub’s first album is a higher level of concentrated musical meditation. Each tune leads to the next state of mind. It is therefore important to listen to the tunes in the correct order. Just press PLAY and close your eyes. Imagine yourself being a wandering monk, who has chosen to live a life apart from or on the edges of society. You travel from orient to occident, gathering knowledge as you meet different cultures, practicing your musical spirituality. Being conscious about your environment, you let your environment assimilate with your I and I. The stillness of your mind enables you to observe and gain insight into the changing flow of your experiences. As you arrive to the western world, the music changes, the bass gets heavier picking up the frequencies of your heartbeat. Keeping your eyes shut, your mind is still consciously receiving every vibration of your surroundings. What is happening to you is actually very easy to explain. You are experiencing Karma Dub’s vibes on your everyday life. It’s your Karma to be hypnotised!